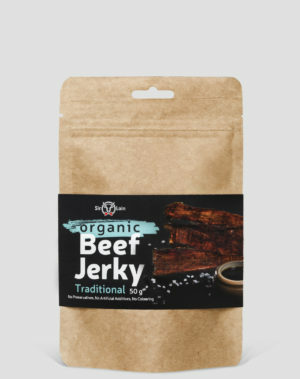 This beef jerky is a spicy snack for those looking for stronger tastes. 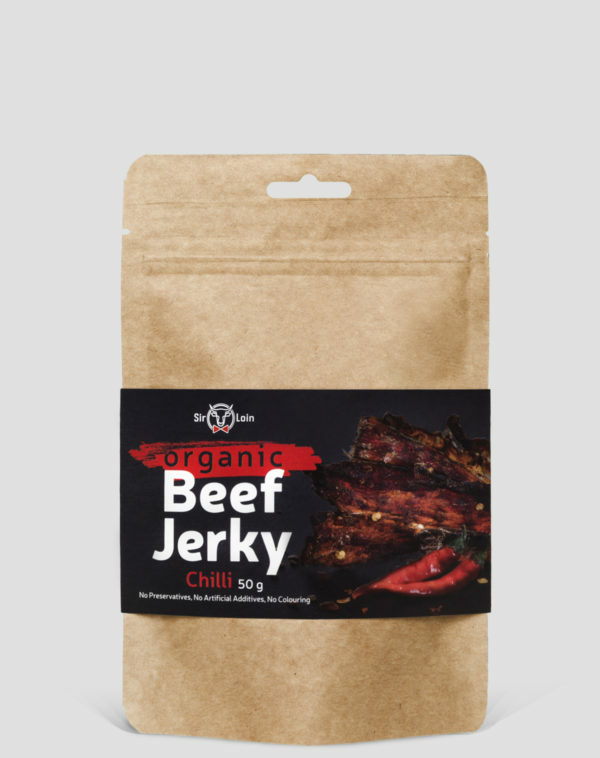 The pungent flavour comes from various spices: chilli, cayenne pepper and black pepper. However, the combination of spices has been selected in a way to retain the initial flavour of the meat. 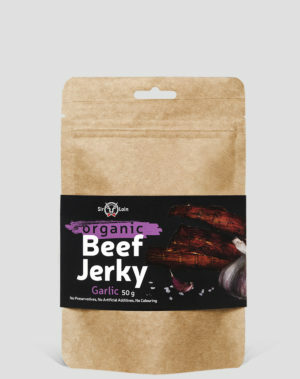 Ingredients: organic beef* (made with 287g beef per 100g), soy sauce* (water, soybeans*, salt), Worcestershire sauce* (vinegar*, sugar*, grape and blackberry juice concentrates*, spices*, herbs*), salt, honey*, chilli pepper* (1%), spices*. Average values for 100 g of product: energy 1093 kJ/258 kcal, fat 3.5 g, of which saturates 1.5 g, carbohydrates 1.7 g, of which sugar 1.7 g, protein 55 g, salt 3.2 g.
Packaging: The product is packaged in an airtight, resealable plastic bag. Storage: Store at +2…+22 oC.